After having clear skin for many months under the care of Trinity Medical Centre (Marine Parade), it was ruined by a product which is not suitable for my skin. 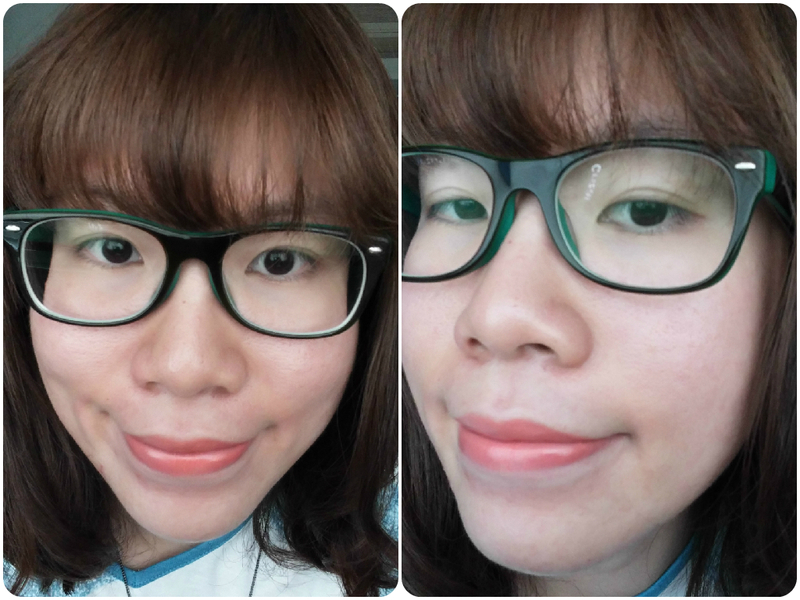 (Hint: Another brand of CC cream that’s highly raved but sad to say that my skin disliked it! Sob Sob!). After using for a few times, i’ve suffered from one of the worst breakouts ever!! I have been going for regular Carbon Laser Peel Treatments every 3-4 weeks which work wonders for my skin and i can only blame myself for causing my skin to be so congested! (Sigh!) Feeling really bad as the team at Trinity Medical Centre (Marine Parade) has taken care of my skin so well but yet i have ‘poisoned’ it! 😦 Was reprimanded by my husband so from now on, i will be selective with the products i am using. Dr Lim has ordered me to go through Aqua ST and Carbon Laser Peel Treatment every 2 weeks (instead of 3-4 weeks) as the congestion is really bad and my skin will show better results with treatments done at a shorter interval. Dr Lim also said that i have to get both Aqua ST and Carbon Laser Peel Treatment done at the same time as it will reduce purging (as the laser peel will ‘push out’ impurities that are embedded deep within my pores). Hence Aqua ST will clear off some of the impurities and thus reduces purging after treatment. The Aqua ST treatment is a facial treatment that provides cleansing, exfoliation, extraction and hydration to the skin. This treatment has a selection of 3 different topical solutions specific to the patient’s skin condition. Aqua ST effectively helps to improve some skin conditions including hyper-pigmentation, acne, photo damage, dehydration, clogged pores, uneven skin tone and even fine line wrinkles. As mentioned, Aqua ST treatment is highly recommended for patients who have moderate to severe acne before doing their carbon laser peel treatment. This skin treatment is mild enough to be used before laser treatments as it does not use crystals or other abrasive harsh particles that will irritate the skin. There will not be any downtime and you can see visible results with only 1 treatment and 4-6 treatments are needed for more significant results. This skin treatment works by its 2-in-1 action – non-invasive exfoliation and delivery of topical solutions to safely and painlessly cleanse, exfoliate, extract and to treat the skin.. During the treatment, the machine will create a painless suction force and once done, a serum* will be applied onto the area. During the process, there wasn’t any pain or sensitivity and all i felt was a gentle suction sensation. Aqua ST SA (Salicylic Acid) is specially formulated for oily and acne-prone skin. It contains active ingredients including Pentylene Glycol and Spirea Ulmaria Extract which penetrate the pores and dislodge dead cells for exfoliation. Aqua ST AS (All-Skin) is a skin solution that cleanses deeply while softening sebum and impurities to aid in extractions. The dead cells are dislodged for exfoliation, and it provides hydration which results in firming and smoothes fine lines. Aqua ST AO (Anti-Oxidant) contains stabilized vitamins A, E & White Tea Extract which is specially formulated to combat free radicals and environmental damage to the skin cells. Next, a layer of carbon lotion is applied on my entire face and allowed to dry over a few minutes before the Carbon Laser Peel commences. The Carbon Laser treatment is a laser procedure that uses a carbon layer as a photo-enhancer to improve the skin’s radiance and promotes a smooth and glowing complexion. 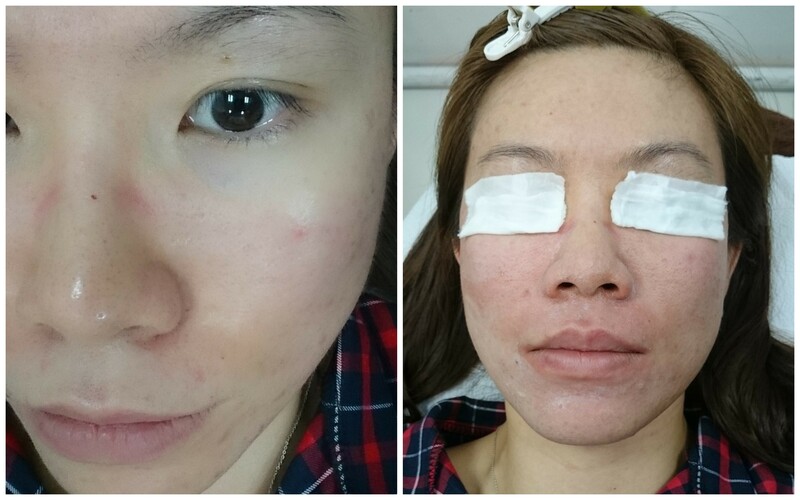 The Carbon Laser Peel helps to refine enlarged pores, reduce oil secretion, remove blackheads, and achieve a whitening effect. 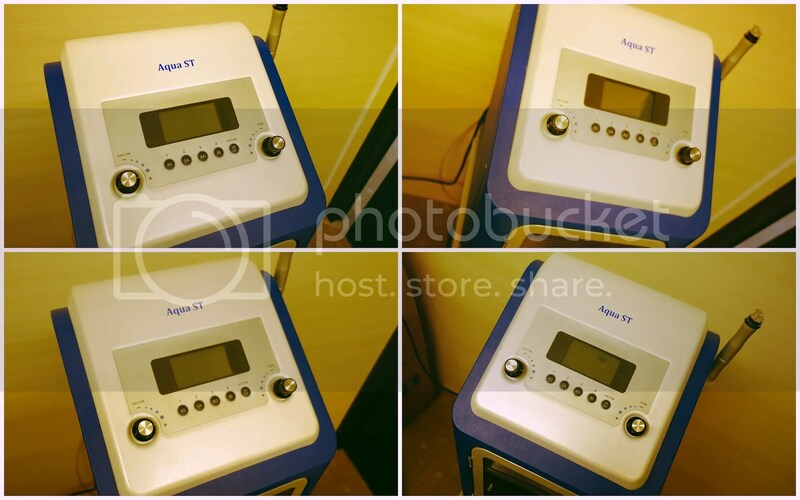 It is delivered by a state-of-the-art Q-switched Nd:YAG Laser Machine which sends short, rapid and high intensity pulses of light. The combination of the short wavelength and rapid light pulses results in maximal treatment of the skin lesions while preserving the surrounding skin. Carbon Laser Peel will not cause any scabs, pain or bleeding hence no numbing cream is required. This treatment is also non-invasive and gentle, and finishes in approximately 10 minutes. Carbon Laser Peel is highly effective if patients wish to reduce pore size, fine lines, and blemishes. 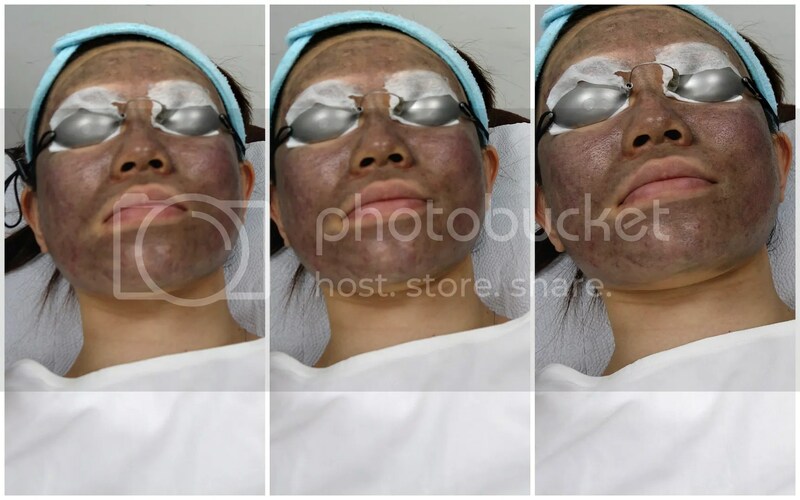 This treatment will also improve and rejuvenate skin tone, giving a more youthful appearance. During the treatment, the Carbon Laser Peel machine will ’emit’ a loud buzzing sound which can sound really intimating. Haha! When the laser was administered on my skin, all i felt was prickling sensation which wasn’t painful but just a little uncomfortable. After doing laser on the whole face, Dr Lim proceeds to ‘blasting’ the carbon off. The buzzing sound got louder but there wasn’t any pain or discomfort. 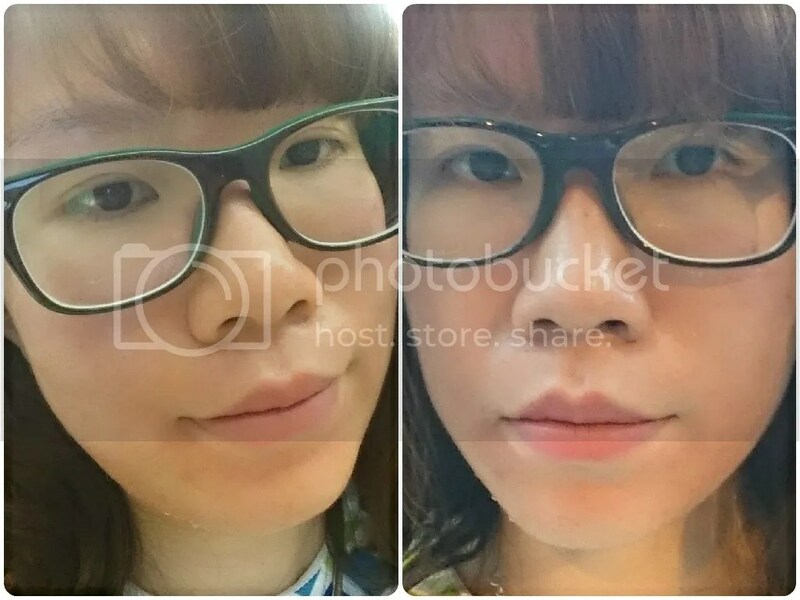 After both treatments, Dr Lim further emphasized on the fact that i should steer care of new products and avoid piling too much stuff on my face. 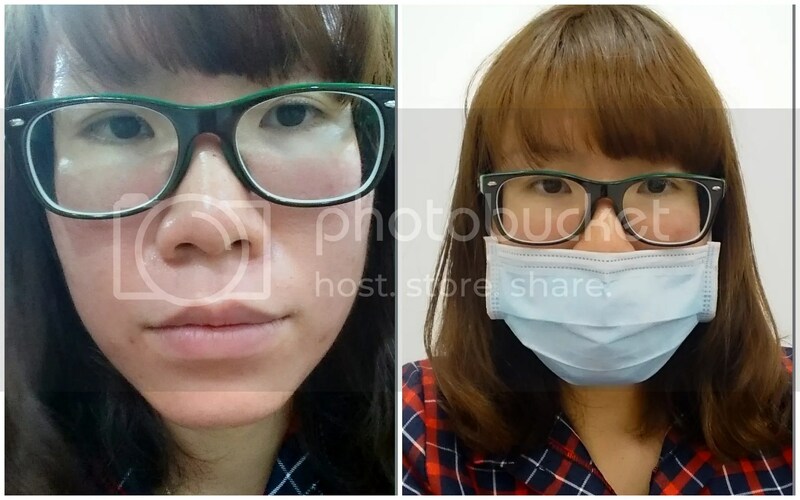 Both treatment was done in about one hour as the extraction process took quite a long time (Previously it only take about 25 mins when my skin condition was better). 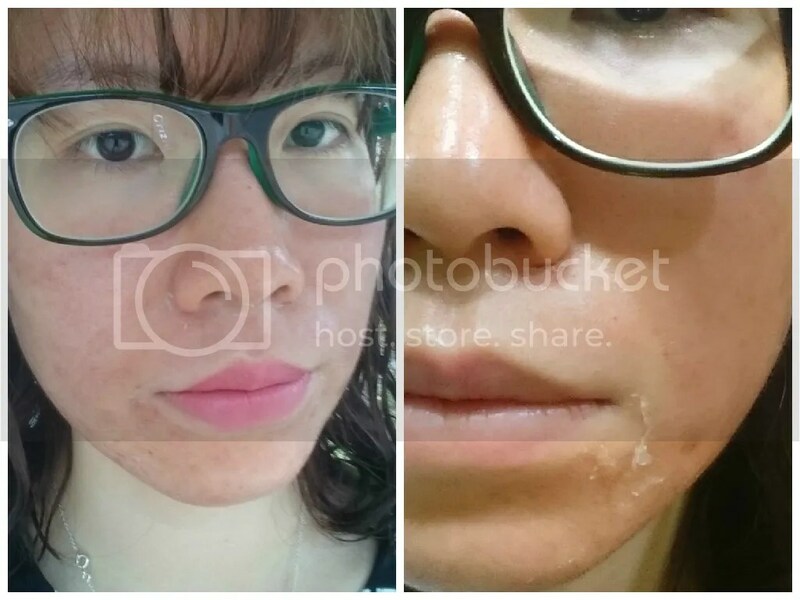 Immediately after both treatments, my skin feels ‘lighter’ and less tight. The only redness are on the parts whereby extractions are done. Instantly, my skin feels smoother to the touch as (pores are less congested) cleaner and skin tone is more even with improved clarity. On the 2nd day onwards, the redness are gone. 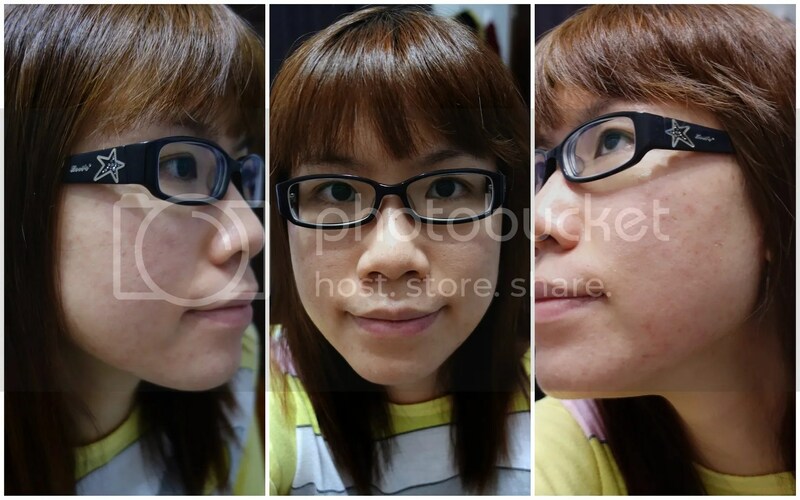 After 1 treatment, i could feel that my skin is less greasy and skin appears to be brighter and more radiant. 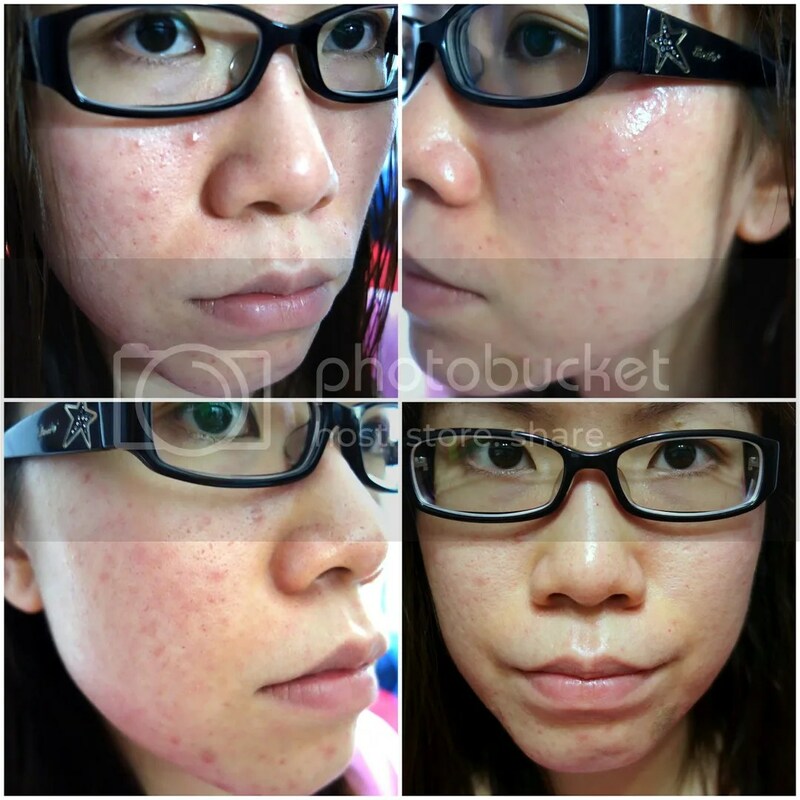 i feel that my skin appears to be healthier with reduce breakouts, less redness and more even skin texture. The more controlled oil secretion has also results in lesser clogged pores and bumps. Overall, i felt that my skintone is brighter and so much more even (and radiant)! I went overseas for 2 weeks and by the time i went back to Trinity Medical Centre, it has been one month plus since the last treatment. Hence, my skin has turned greasy and i have developed a lot of small boils filled with pus (which i have no idea why). 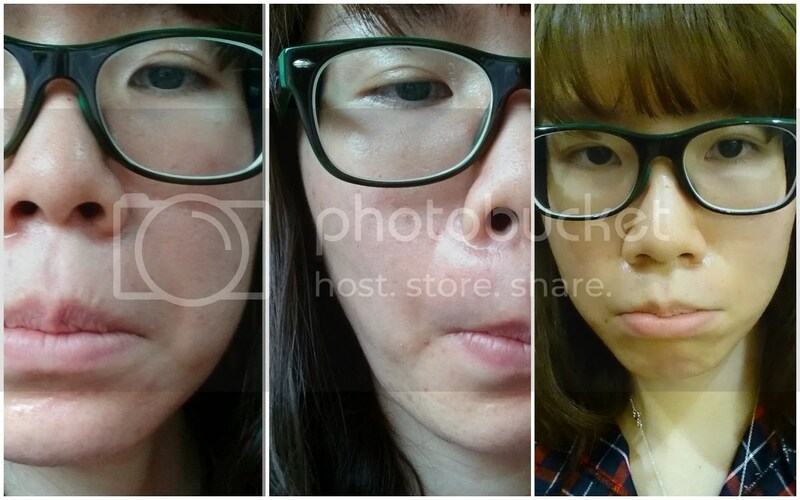 If you have problem skin like mine, Treatment interval of 2~4 weeks is advised for maximum results. As for the boils, Dr Lim told me that i might be suffering from bacteria infection (might be from the food and drinks i had overseas) and hence i have to take 10 days course of antibiotics. As there’s some congestion still, he suggested that i do chemical peel (Jessner’s Peel) this time to further get rid of dead skin cells , decongest pores, loosen and reduce acne. As my skin tone is dull and uneven, Dr Lim said that it will give me a smooth, glowing and brighter complexion after getting rid of the thick layer of dead skin on the surface. Sounds good and i’m excited to begin my quest to clearer complexion & smoother skin! Before the peel, my skin is thoroughly cleansed before a layer of solution to reduce the skin’s PH is applied on.. I did not experience anything after the application. After 5 mins, a liquid chemical (a combination of acid*) is applied to my skin with a small brush, gauze.. After a while, mild burning sensation sets in and it intensify when more chemical is being applied (about 2 layers). To minimize the burning sensation, the clinic assistant fan my face to help cool the skin and relieve the discomfort. The chemical peel that i done in Trinity is different from another clinic’s as the chemical isn’t washed off and no neturalizer is applied as a last step to neutralize the acid & end the chemical reaction. I was told not to waste my face for at least 4 hours as this will cause the chemical to penetrate too deep which might cause burns. *Jessner peel consists of three main ingredients: lactic acid (assists in the exfoliation of the skin), salicylic acid (aids in penetration), and resorcinol (assists in the treatment of acne). Although Jessner Peel is stronger than most superficial chemical peels, it does not require anesthesia and there’s also burning sensation felt (which is bearable). 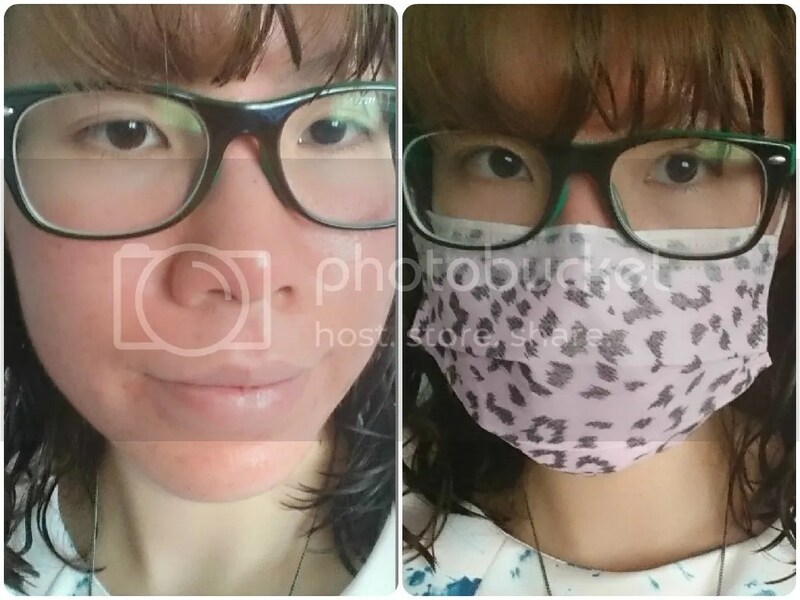 As i was heading out after the chemical treatment, i took a mask from the clinic to cover the redness. Dr Lim told me that proper care of skin after chemical peel is very important in order to achieve better results and also promotes skin healing. For the first few days, i have to apply a regenerating and redness control cream after washing my face with my regular cleanser. Once there’s no more peeling, i can start to use my regular skincare products. Dr Lim also told me to avoid excessive sun exposure till skin regulates and peeling has stopped. Sunblock is also important after the procedure as skin is very fragile after peeling and new skin is more susceptible to sun damage. Most of the dead skin are removed when i washed my face. The layer of new skin appeared to be a little reddish so application of sunblock is a must as skin is still delicate. My new skin feels so smooth to the touch and the little boils filled with pus are gone. The itch is also reducing and skin feels less sensitive. Hi there! I came across your post as I was researching on Jessner’s Peel! May I know how much it costs and are there any preparations to be done prior to the peel? This peel is so rare in Singapore!